Aldara Hospital and Medical Center is being developed by Aldara Medical Corporation in a strategic location near King Faisal Specialist Hospital and Research Center, and Al Faisal University. 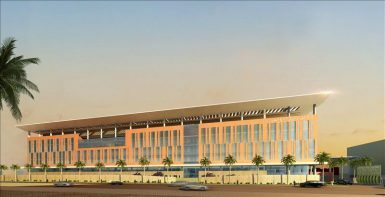 It will house Riyadh’s largest and most technologically-advanced outpatient facility, while a state-of-the art hospital will enable continuity of care. Built to meet the growing demand for high-quality care in the region, the facility will blend proven medical processes, a robust human capital model and the latest medical innovations to deliver high-quality, competitively-priced healthcare and an unparalleled patient experience.